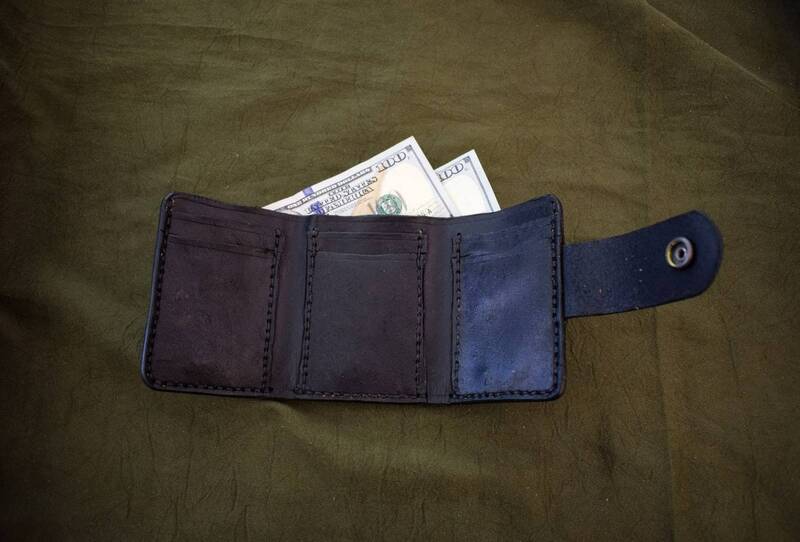 Much like my other "last Wallet" this wallet includes slots for at least 6 cards (12 or more when the wallet is broken in) and a spacious slot for cash. 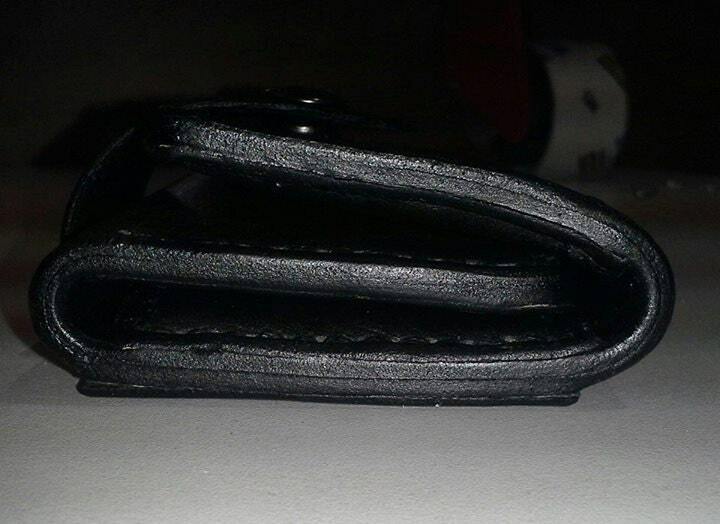 The only real difference between this wallet and the other is that this one folds into 3 sections instead of two. 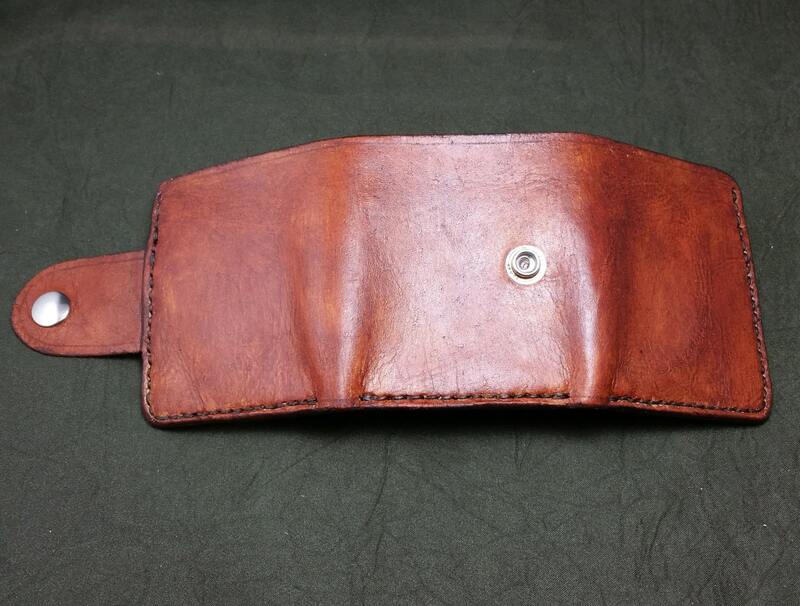 The wallet is made to order, hand-dyed, and hand finished. 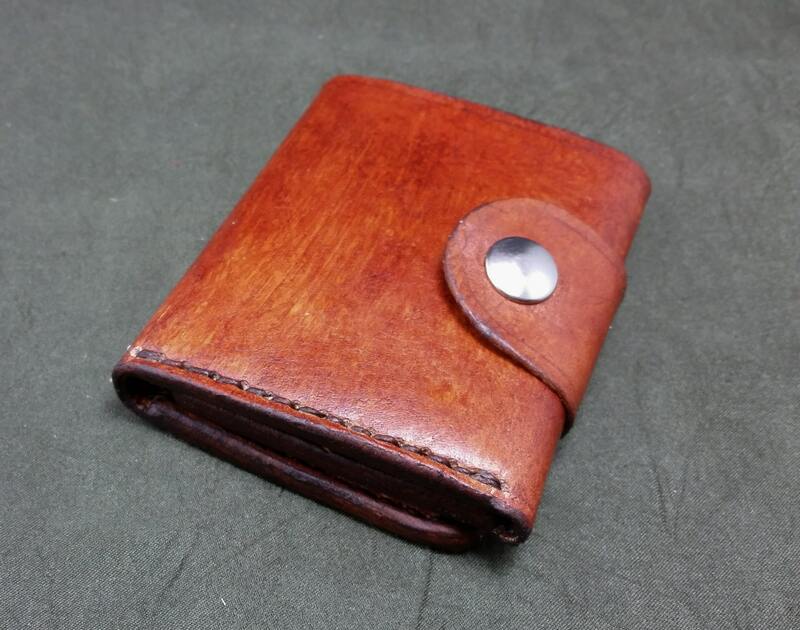 If you choose the natural option, the edges will be burnished with a clear burnishing compound. 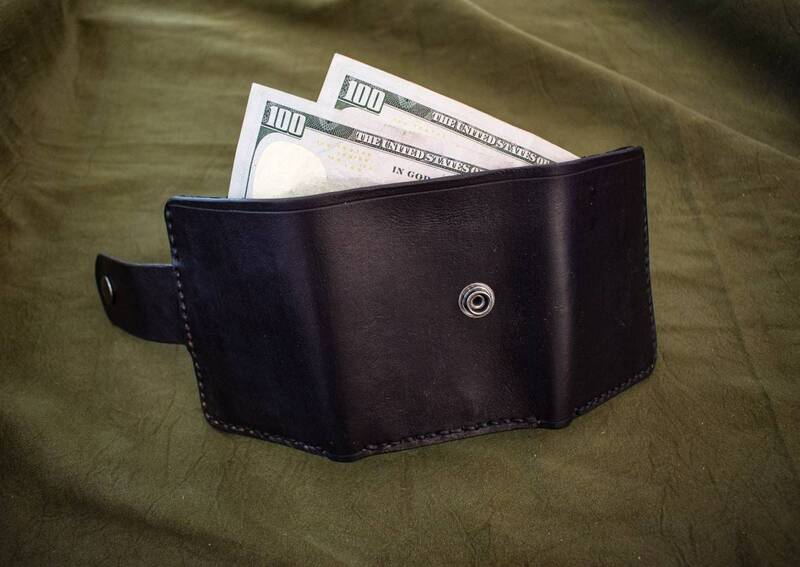 As a standard, the tri-fold wallet comes with the strap and snap closure to try and help keep it somewhat compact, if you'd like to go without, let me know. 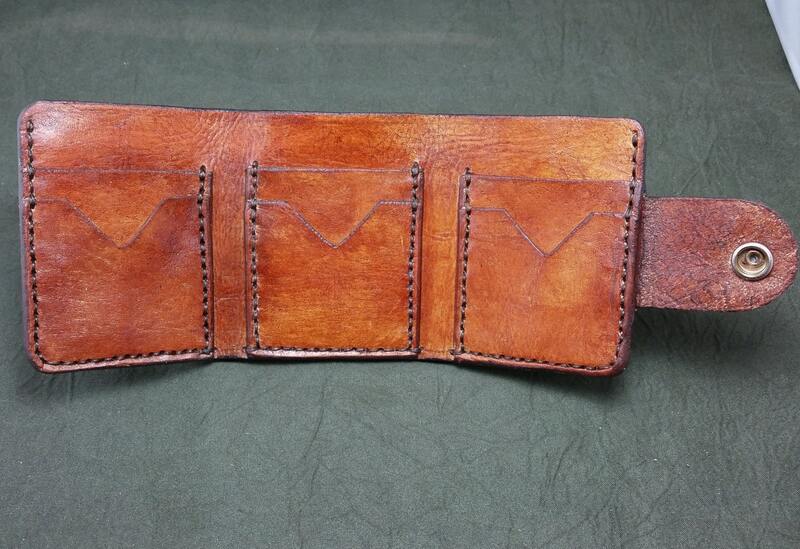 As with everything I make, customization is available, feel free to contact me to discuss artwork/customization.